What the Teacher Wants! : Back to School SALE! 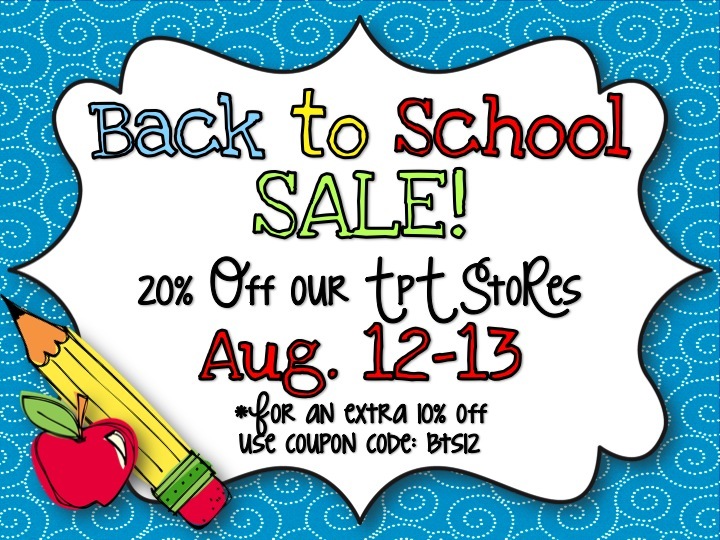 Enjoy 20% + an additional 10% off our stores on August 12th and 13th. To see a bunch of other stores that are on sale, head over to Blog Hoppin'!